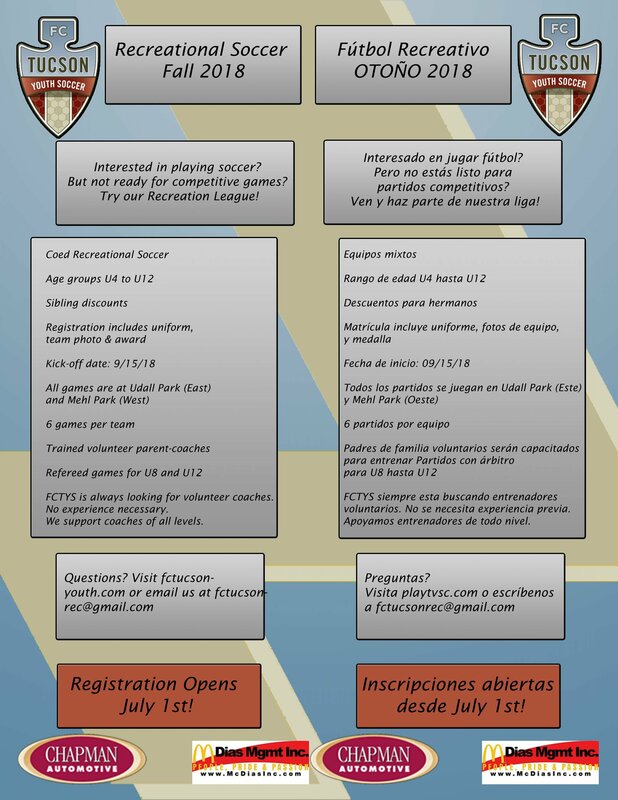 FC Tucson Rec Registration Opening on JULY 1st! Click HERE to Register for Rec! As all of you know, over the last several months the Tanque Verde Soccer Club and the Tucson Soccer Academy have been in negotiations about a possible merger between the two clubs. After carefully weighing the advantages and disadvantages to each organization, representatives of both clubs universally agreed that joining forces was indeed in the best interest of the players and families we serve, as well as the broader soccer community of Southern Arizona. Therefore, today we are announcing that TVSC and TSA will be consolidating resources, coaches and teams to create a new Club beginning at Placements this May. The new combined club has also partnered with Phoenix Rising FC's Premier Development League team, FC Tucson, to form FC Tucson Youth Soccer Club. We will have the same programs and standards of excellence you have come to expect from TSA and TVSC, with the added benefits of having access to Phoenix Rising FC professional first team coaches and professional players (some of whom also currently play for their countries' national teams) to help mentor and teach our players and staff. All involved believe the combined organization marries the strengths of both clubs and will better serve both recreational and competitive players. It is our hope that our new club will provide a path to professional soccer for players from southern Arizona, lead to an expansion of our scholarship program, give us an even stronger voice in support of Arizona soccer, and enhance the quality of the experience for all our program participants. 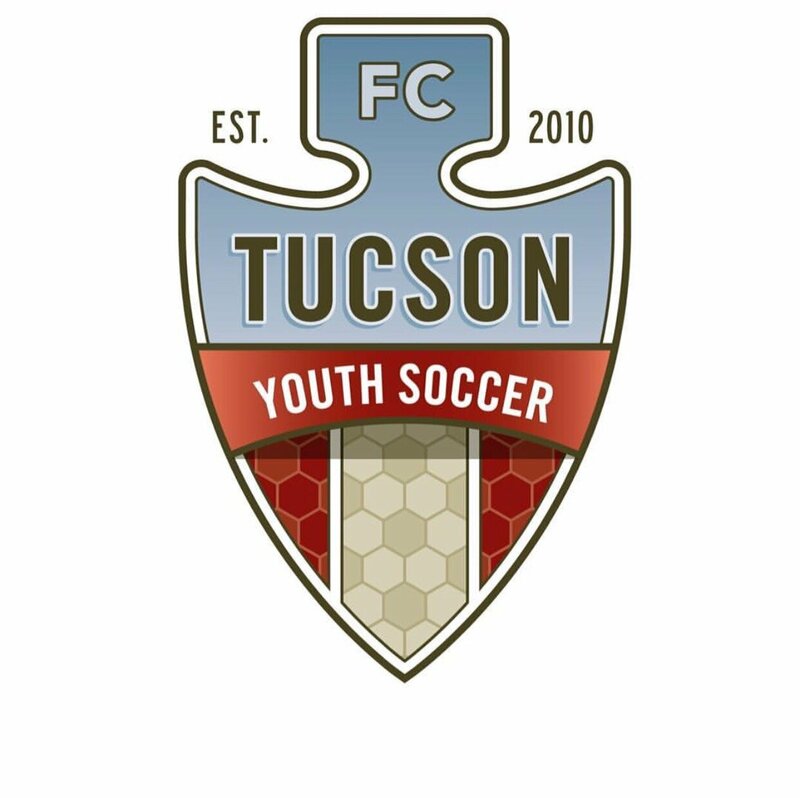 We ask for your indulgence as the new Board and staff of FC Tucson Youth Soccer Club work diligently to implement this move. We commit to you that our level of communication and your involvement will increase as the next steps in the merger progress. Our mission is to positively impact the development of youth in our community by providing soccer and life-enriching opportunities to young players of all ages and playing abilities, to create a lifelong passion for the sport of soccer, and to help raise the level of soccer in our city, our state and our nation. We strive to play an active role in the leadership, development and personal growth of our players and staff by being an active member of our community through service, partnerships and programs. Our ultimate goal as a club is to encourage, inspire and empower each player and coach to be able to reach the highest level possible within the game and in life, while helping create leaders and individuals that will inspire others to do the same. A positive attitude creates a positive environment. Committed to developing the player and the individual. Good leaders will inspire themselves. Great leaders will inspire others. The team is greater than the individual. The club is greater than the team. The community is greater than the club. FC Tucson will set the standard for all soccer clubs across the country by creating a culture that provides a foundation for all to reach their fullest potential on and off the field while having the ultimate soccer experience. · A full-time Player Development Director who will oversee the U6- U10 age groups. · Increasing the opportunity for all players who want to participate at the level they want while being coached and mentored by experienced, licensed coaches. · Having an age-appropriate curriculum for developing cognitive, mental, social, and motor skills under the supervision of the Director of Player Development and Professional Staff coaches. · Parent coaches having access to Professional Staff coaches as a resource on a regular basis. · Players of all ages and playing ability having the opportunity to be mentored and coached by the best coaching staff in Southern Arizona. · Having a variety of fee structures that provides the best value within club soccer. · Establishing player and parent forums to improve the role parents play in supporting players. 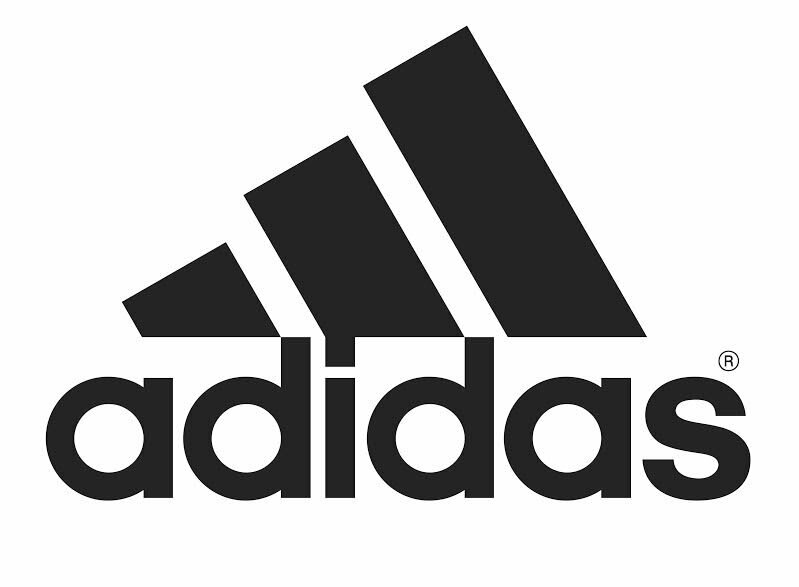 · Establish a college soccer promotion program focused on exposing players to the college recruiting process throughout their high school career. · To support and expand teams at the neighborhood level. · Promote regional recognition of our soccer tournaments. 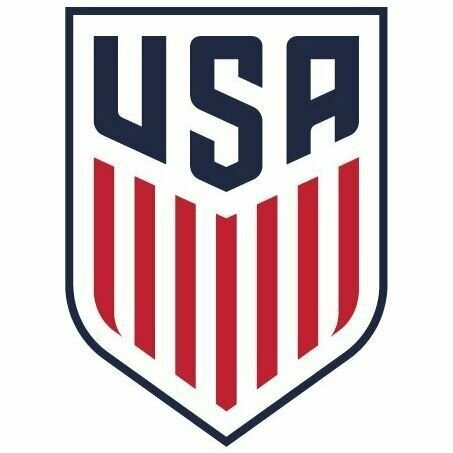 · Create a lifelong passion for the sport of soccer and a capability to raise the level of soccer locally and in the USA. · To generate more influence and clout in local, state, and regional soccer and increased participation in community affairs. · Increased collaboration with charitable organizations and more charitable activities. · Annual developmental program of 2000+ players. · Promotion and development of partnership programs with youth soccer organizations from Arizona and neighboring states. National player loan system. · Attracting additional highly qualified coaches from across the country. · More organized, centralized, and consistent effort to provide the best possible environment for children to develop as players and as young people. · To develop the sport of soccer in Tucson by assisting the development of coaches. · To retain of players currently lost to other area clubs. · To increase opportunities for players with financial need. · To employ a dedicated team of professionals whose shared goal is excellence both on and off the field. · Encouraging communication between parents, coaches, teachers and club staff. 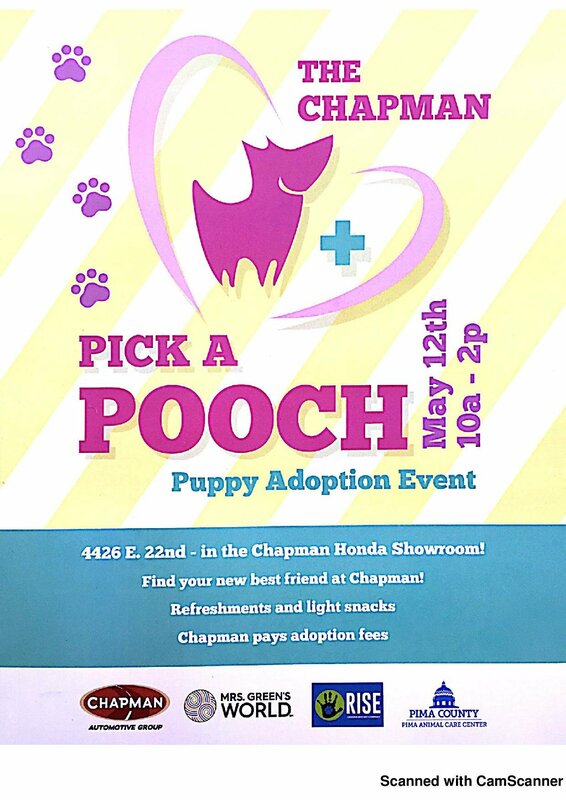 · Creating partnerships with parents, schools and colleges. · Comprehensive monitoring programs covering coaching and educational issues. · Compete successfully at the State, Regional, and National levels each year. · Players placed on regional and national teams. We are EXCITED to Announce Partnership with Radiology Ltd.
Tanque Verde Rd. & Bear Canyon Rd.